The custom gilt signage company call See. Painting, Inc. in Sugar Hill sent in a few photos of some work they have been doing at the new Balthazar restaurant in London. 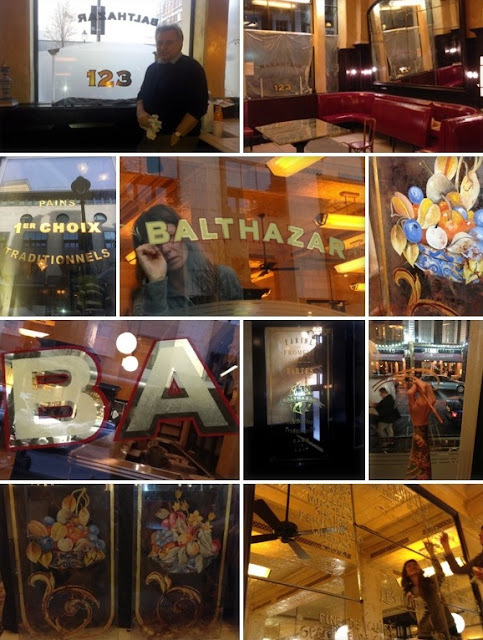 The owner of the gold lettering company just hand painted the gilded signage and decorative behind glass painting at the new eatery for Keith Mc Nally and Richard Caring overseas. 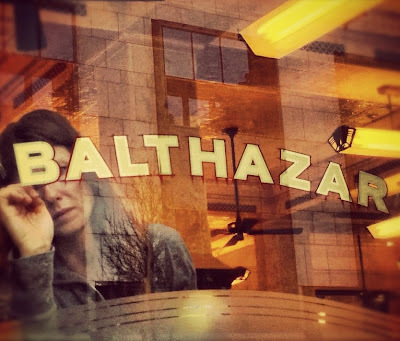 This is the international branch of the famous Balthazar restaurant founded originally in New York City and See. Painting, Inc. also gilded and painted the house number sign for the glass transom of Keith McNally's private home in Notting Hill.